NFL special teams coach Bruce DeHaven remembers. January 27, 1991, Tampa Stadium, Tampa, Florida: With eight seconds remaining in Super Bowl XXV, Buffalo Bills placekicker Scott Norwood lines up a 47-yard field goal attempt. Bills special-teams coach Bruce DeHaven looks on as the kick sails wide right, handing the New York Giants a 20-19 victory. January 8, 2000, Adelphia Coliseum, Nashville, Tennessee: After converting a 41-yard field goal with 16 seconds left, the Bills need only to cover a kickoff to preserve a 16-15 upset victory over the Tennessee Titans in a wild-card playoff game. After fielding the kick, Titans running back Lorenzo Neal laterals the ball to tight end Frank Wycheck, who in turn, passes the ball across the field to wide receiver Kevin Dyson. DeHaven watches helplessly as Dyson races 75 yards up the left sideline for a touchdown, giving the Titans a 22-16 win. For 13 seasons, DeHaven toiled for the Bills, building a reputation as one of the NFL's very best special-teams coaches. From 1987-90, his kickoff coverage unit led the league, and in '91, his punt coverage team set an NFL record by allowing only 53 return yards in 16 games. He coached Steve Tasker—a seven-time Pro Bowl selection—generally considered the greatest special-teams player in history, as well as Mark Pike, the league's all-time leader in special-teams tackles. During DeHaven's tenure the Bills went to a record four consecutive Super Bowls in the early '90s. Yet, the Bills organization knew who to blame. Three days after the loss to the Titans, DeHaven was fired. Buffalo head coach Wade Phillips insisted that it wasn't the one play but his overall disappointment with the Bills' special-teams. Many felt the move unfairly cast DeHaven as the scapegoat. After all, he told his young coverage team, made up of mostly first- and second-year players, to stay in their lanes. It wasn't he that overpursued the ball, leaving Dyson a clear path to the end zone. After losing the only NFL job he ever knew, DeHaven received more than 100 phone calls from his peers, some expressing their outrage. He fielded no fewer than six job offers, finally accepting one from San Francisco 49ers head coach Steve Mariucci, with whom DeHaven coached in the United States Football League (USFL). DeHaven, who has overcome two hip replacements to continue coaching, says working for the upbeat and always-cerebral Levy taught him a lot about life. After all, Levy set an example for his peers by coping with four Super Bowl defeats with incredible dignity. This autumn as he begins his first season as special-teams coach for the 49ers, resiliency is something DeHaven may need in abundance. Prognosticators are calling for San Francisco to be among the weakest teams in the league. Leo Roth is an award-winning sports writer for the </i>Rochester (N.Y.) Democrat & Chronicle <i>and has covered the Bills since 1989. The Music City Miracle didn't cost him his job, just a new lead. 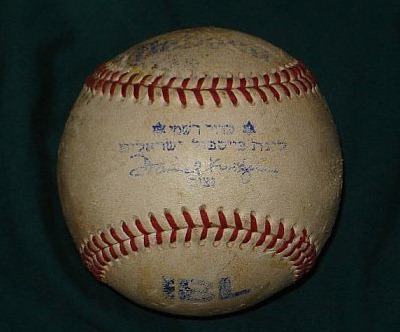 Shekelball—A season in the now-defunct Israeli Baseball League. 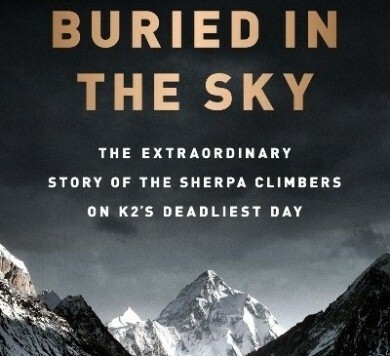 K2’s Deadliest Day: The Sherpa Perspective—“Buried in the Sky” tells the astonishing stories of Chhiring Dorje Sherpa and Pasang Lama, both of whom narrowly escaped death on K2 in 2008. Mike Milbury’s New York Islanders—Seven years of futility on Long Island—and why the team is poised to win again.